Many people are confused about the distinction between hornets and yellow jackets, or simply have a difficult time telling the two apart. 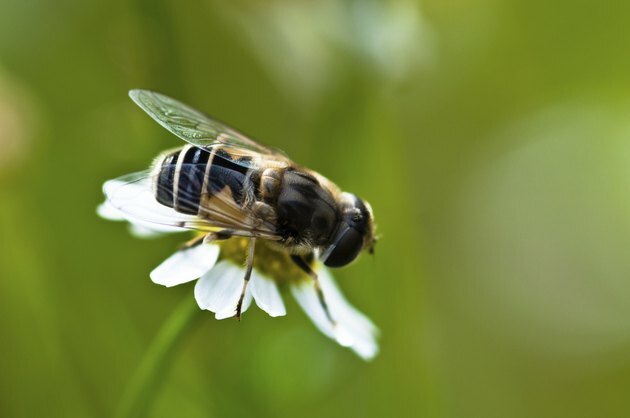 There are several ways to distinguish between the insects, so that the next time you see a wasp in your yard or get stung by one, at least you'll know the identity of the attacker. The terms hornet and yellow jacket are sometimes used interchangeably, along with others like "wasps" and "bees." Bee is a much more general term, but even "wasp" covers a lot of territory. 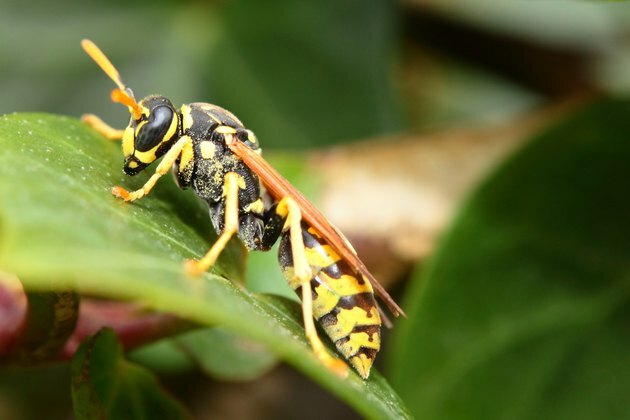 Hornets and yellow jackets are both types of wasps, unlike bumblebees and honeybees. Yellow jackets are extremely distinctive, with yellow and black markings covering their entire bodies. They are relatively small, only slightly larger than a housefly. Hornets tend to be larger, growing up to an inch, and are also characterized by yellow markings. The markings on a hornet are not contrasted with black, like a yellow jacket's, however. Hornet coloring ranges in the brown scale. 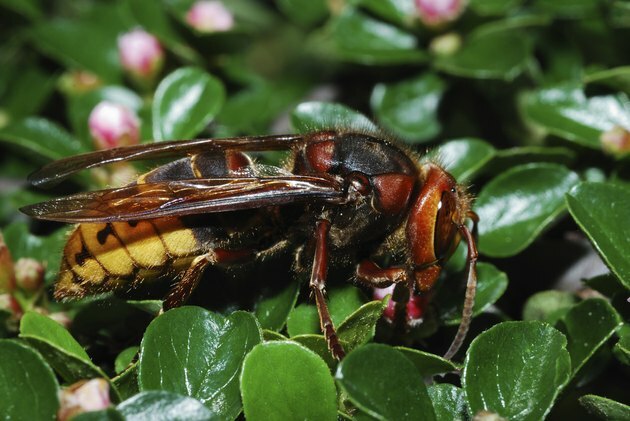 In some hornets, the light reddish-brown color makes the distinction from yellow jackets easy; when the markings are dark brown, they can be more difficult to identify, and size is a better indication of their identity. Yellow jackets are the classic picnic-crashers. They feed exclusively on sweet liquids, and are the first to harass anyone with a soda, juice or a fresh peach. They are also likely to turn up in the garbage looking for a meal. Hornets, on the other hand, feed on other insects, and are less likely suspects for run-ins with humans. 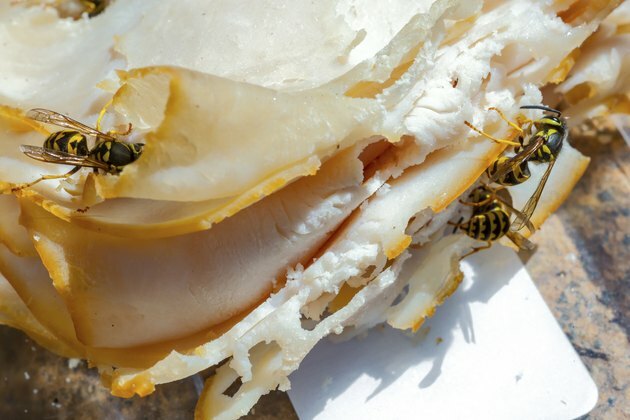 The nests of hornets and yellow jackets are very different. 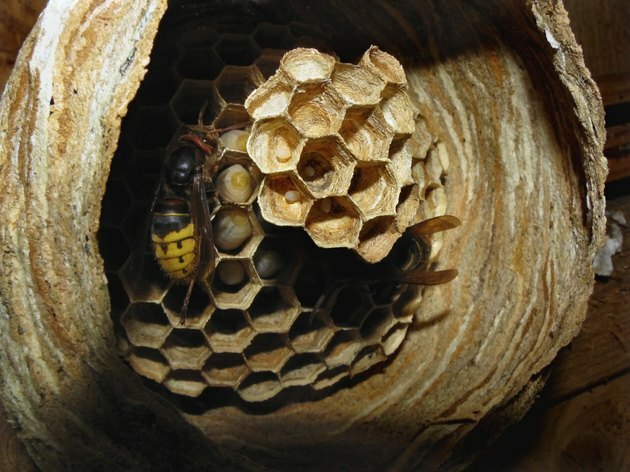 Hornets make the classic beehives, usually hanging from a tree branch or rafter, a pendulous teardrop shape, completely covered in delicate paper. Yellow jackets rarely nest above ground. Their preferred haunts are confined spaces, generally underground, such as an abandoned rodent nest. Yellow jackets sting people much more commonly than hornets, mainly because their feeding habits bring them into closer contact with people on a regular basis. But yellow jackets usually die after stinging a person, because their stingers get caught in the skin. Hornet stings are often more painful, but less common. A hornet can also sting a person repeatedly.